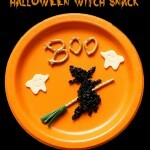 So if you are looking for some healthy Halloween food ideas for your kids, look no further and try it on! 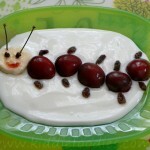 So simple and easy to make. 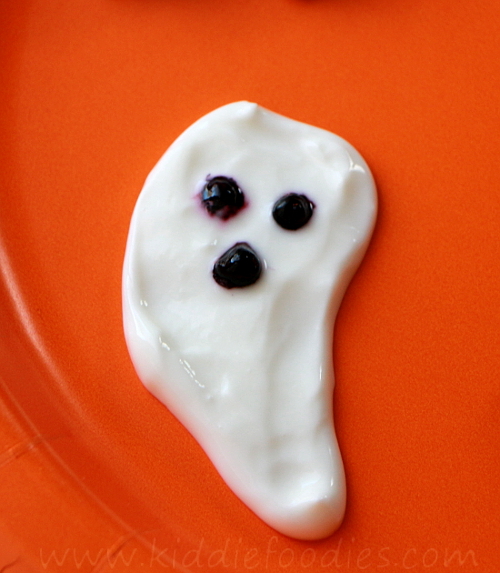 You can even ask your kids to help making the bats or give them a spoon to shape the ghosts. 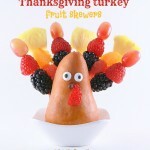 They will have a lot of fun, and it is much healthier than a bucket of candy. 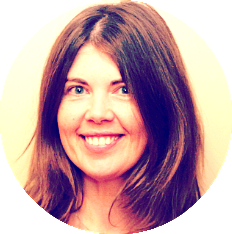 Did you know that bat echolocation is a perceptual system where ultrasonic sounds are emitted specifically to produce echoes? This allows bats to detect, localize, and even classify their prey in complete darkness. 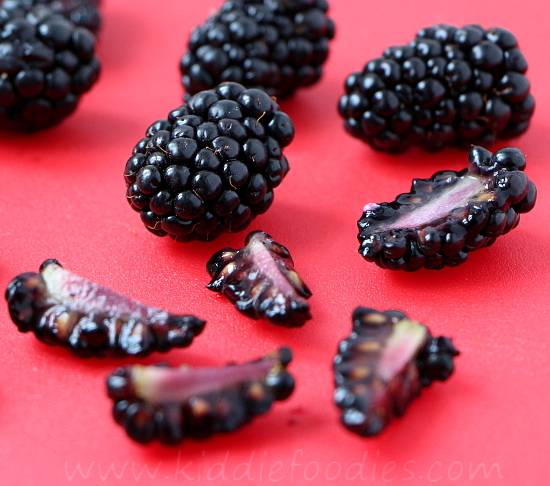 Step1 Cut the blackberries in half lengthwise. Use one half to make the bat body. 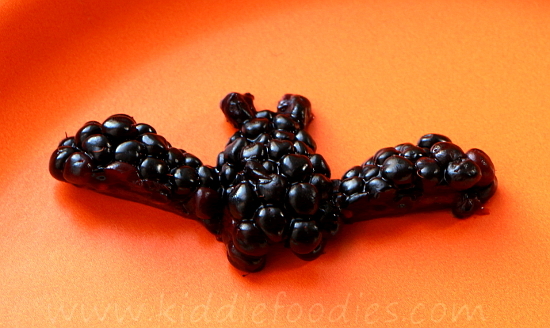 Cut the other part in half lengthwise and use it to make the bats' wings. 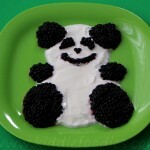 Use a small blackberry 'dot' to make the ears. 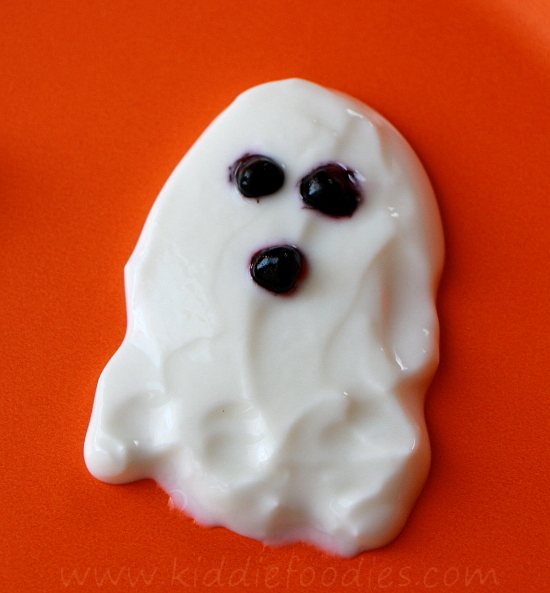 Step2 Shape the ghost with yogurt using just a spoon, it is pretty easy and you can be creative here! I did two different shapes that seemed the easiest for me. 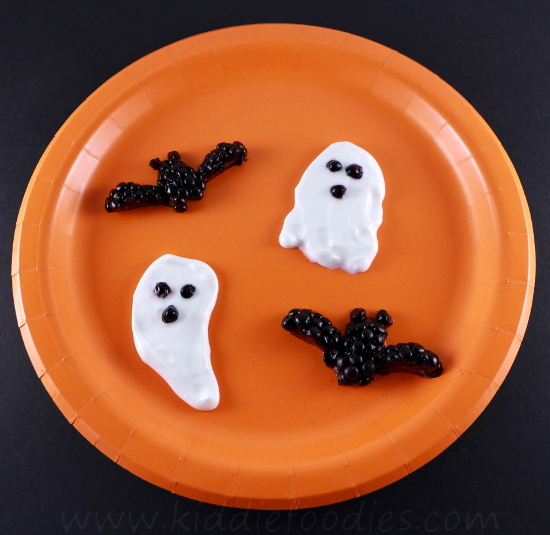 Use the blackberries 'dots' to make ghosts' eyes and mouth. 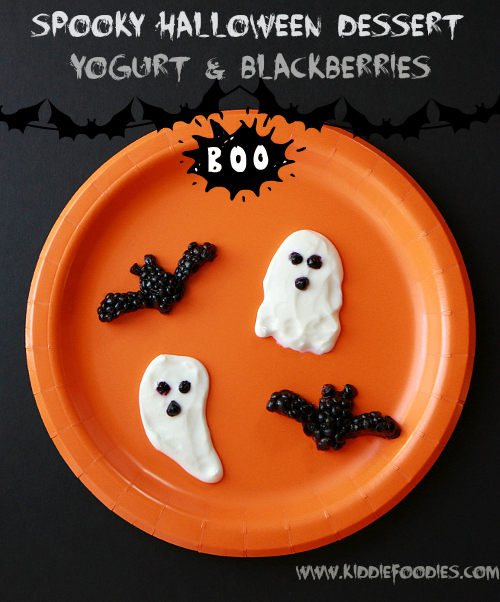 Step3 Bats and ghosts turned out really cute, and moreover they made a really healthy dessert for Halloween! Enjoy!